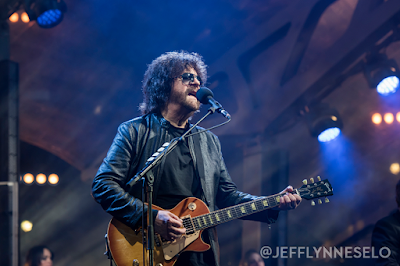 Jeff Lynne’s ELO will tour North America next summer, marking the band’s first trek on the continent in over 35 years. The 3-week, 10 city tour will begin in Oakland, CA on August 2 and wrap up in Philadelphia, PA on August 24. The run comes on the heels of the Electric Light Orchestra’s induction into the 2017 Rock And Roll Hall Of Fame this past April and a series of sold-out 2017 European shows in support of 2015’s “Alone In The Universe”, which will deliver a new live package, “Wembley Or Bust”, on November 17. Directed by Paul Dugdale, the release captures Lynne’s sold-out show before 60,000 fans at London’s Wembley Stadium this past June, where he delivered material from the group’s extensive hit-filled discography; the show also includes tracks by The Move and The Traveling Wilburys. Lynne is looking forward to returning to stages across North America next year. An American Express Card Members presale runs November 15 at 10am local time through November 16 at 10pm local time, while a Live Nation presale begins November 16. General public seats will go on sale November 17 at 10am local time. All pre-orders of "Wembley Or Bust" made at Jeff Lynne’s ELO Official US Store prior to 4:00pm EST on November 14, 2017 are eligible to receive a ticket pre-sale code for 2018 U.S. tour dates. Codes can be used during the pre-sale window for access to tickets before the general public on-sale. One (1) code is granted per customer and allows access to purchase up to four (4) tickets. Tickets will be available while supplies last and pre-sale codes do not guarantee inventory.